What better way to kick of 2014 on Got A Ukulele than with an instrument review. Say hello to the John Daniel Pixie Sopranino. 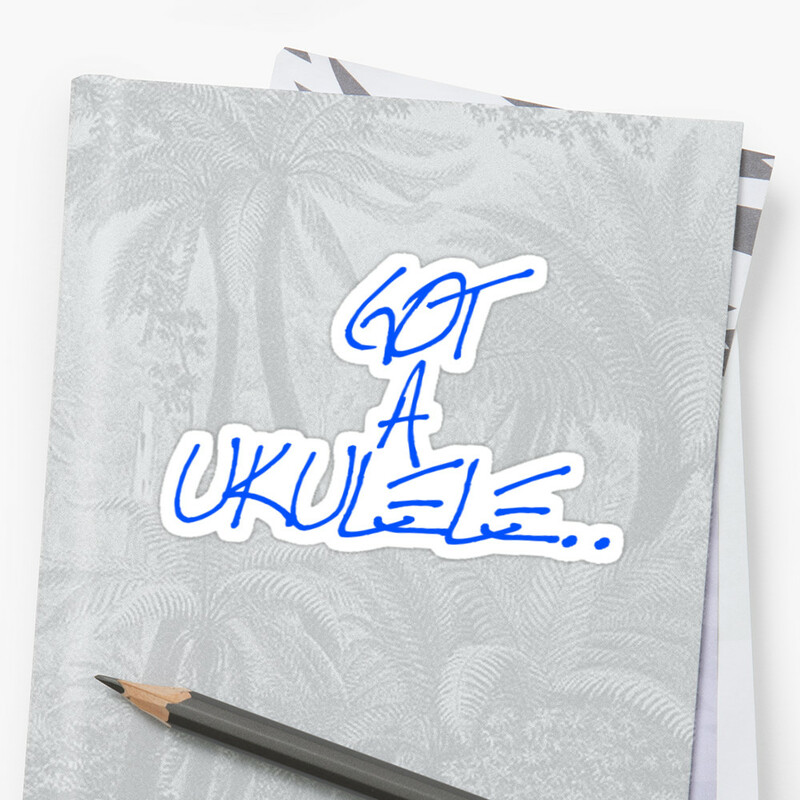 I have been hankering after a pocket sized ukulele for some time, and that desire grew a little more after the Ukulele Festival of Great Britain in the middle of 2013. At that even everyone seemed to be walking around with tiny iUke instruments and they intrigued me. But.... not in a good way. I have to say it - I really don't like the feel or sound of the iUke at all, but most of all I don't like the feel of the neck. 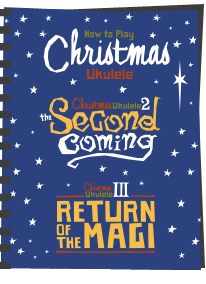 It is however priced a little more keenly than the Ohana SK21 I was looking at, and quite a bit more keenly than the Kala Pocket Uke. Then another festival came along. I was at the Grand Northern Ukulele Festival when one of the performers, Phil Doleman called me over to show me what he had bought from the Southern Ukulele Store stand. He took out a John Daniel Pixie and I knew I had to have one. I enquired at the stall and they told me that when they had more in they would let me know. And they did! This came to me for a little over £100. John is a private luthier who builds in small quantities and is based in South Wales (making this my first ever Welsh instrument!). The Pixie is completely hand made, and is constructed completely from solid mahogany. I am told that it is wood that has been taken from old furniture hundreds of years old (in this case, an old lab cabinet) which seems a very nice resourceful idea to me! The uke is in traditional shape with a double bout, but it is quite subtle in its curves which I like. The body is extremely well put together with no gaps and the whole thing is finished in a hand rubbed oil finish. The top is quite plain apart from the fabulous dots decoration around the sound hole in white. The grain on the sides is in line with the wood, and the back is flat with perhaps a slight curve. The top and back (being a small instrument) are single pieces of wood. The bridge is a standard tie bar affair with a white trim and a bone saddle. The bridge is made of rosewood. Inside all looks very tidy, and shows the use of un notched kerfling holding the top and back to the sides. It also holds the John Daniel label, with serial number and the proud claim that it is 'Hand Crafted In Wales'. 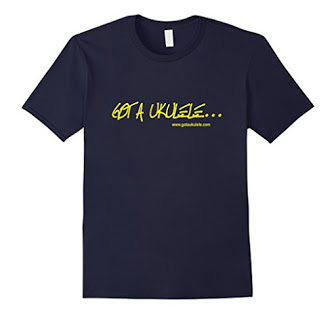 The neck is a particularly fine element of this uke for a couple of main reasons. Firstly the profile is nice and flat which is what I want on a tiny uke, but the nut width is really no different to any other soprano. That is a very good thing in my book. With a smaller uke, things are going to get cramped as the frets are closer together, but if you narrow the nut as well, then things get quite difficult. The iUke suffers here. 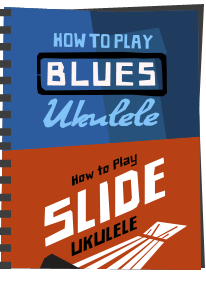 This comes back to the common misconception people have that bigger ukes are easier for beginners to play as they have more space. Nonsense. I have sopranos with wider nuts than concerts and they are the ones with more playing comfort. What is interesting to note is the headstock seems to be made of two pieces with a slightly visible joint at the top end. The other nice element on the neck is the fingerboard - it is a made from rosewood with 12 nickel silver frets, but it is finished beautifully. The edges of the fingerboard are 'rolled' meaning they have a curved outer which makes for real comfort on the hands. You really only tend to see such detail on ukes at the upper end of the price range. Fretboard markers are at the 3rd, 5th, 7th, 9th and 12th and are inlaid in white plastic. It is a little disappointing not to see side markers, or at least a single one for the players benefit. Still, with a neck this short, it is not hard to get lost on it! Beyond the nut, the headstock is crown shaped with no outer facing, and is decorated with three small dots mimicking the detail from the sound hole and are the Daniel logo. These are set a little off centre, but this is not a factory made uke and I like the fact it LOOKS handmade. Tuners are friction pegs (naturally - geared tuners on a uke this size would look ridiculous), though they represent my only gripe about it. They are bottom end friction tuners, that use plastic on plastic to hold. I found them extremely jerky and sticky and pretty quickly swapped them out for a slightly better set I had lying about which work much more smoothly. I am not sure what the strings are that it came with (clear fluorocarbons of one brand or another, STOP PRESS - John has advised they are his own strings, and are indeed in flourocarbon) but SUS also shipped it with some Aquila Piccolo strings as used on the iUke to allow me to tune it a full octave above. I spent about ten minutes playing that way before being totally convinced that I had now found another thing I dislike about the iUke - the fact it is tuned so high!! So back on went the original strings and I started playing with tunings before deciding that F tuning suited my ears (that is to say, CFAD). So how does it play? Well it is as light as a feather as you would expect, extremely nicely balanced and despite the diminutive size, actually quite comfortable to play and hold. The setup is spot on with a very nice action and no intonation issues anywhere on the neck. The nut is cut well and the fingerboard is incredibly comfortable to play on. I love the nut width and don't find it particularly cramped at all, even with my large hands. It is a joy! It also has a ton of volume when you give it a heavier strum, but also sounds delightful when picked. I would suggest if you get one that you too should play with other tunings to suit your own ears. DGBE tuning for example may be another alternative. Heck, that is part of the fun of owning one. I think it has a nice balanced sound and has become a uke I tend to keep very close to wherever I am sitting as it is a joy to just pick up and play. I've also jammed with it along with instruments of all other sizes and it fits in the mix quite well. In short, I am delighted I got hold of it, and if you get the chance to own a John Daniel, I would give it some serious consideration. Check out the scores and a video review further down the page. What a great instrument, I'm having the same sort of fun with my iUke (yes, I know that you don't like em !) it's just a bit different and it adds another dimension to playing, especially with other more conventional ukuleles. I never thought that I'd be in the market for a sopranino, but now I'm extremely pleased to own one. Thanks for the interesting review. This tiny one looks really good. Don't know why the luthier put dots on it. Maybe you post a video where you strum around a little bit to get an impression of the sound and the handling. The dots are just a sound hole decoration. I love them. This looks amazing! Can you tell me the size in comparison to Ohana sopranino? Is this bigger or smaller? Thanks! Looks awesome – how can I get one? A word on the iUke, which is mentioned in the review - the iUke was designed in collaboration with Mimmo Peruffo of Aquila strings, who produced a set of piccolo uke strings (Aquila set 94U) for the iUke which can be tuned one octave higher than standard gCEA tuning. However, other tunings can be used if different strings are used. In China, for instance, the preference is for regular strings to be used, tuning maybe a fourth or fifth above standard. We choose to supply with the higher tuning because it offers something unique. What's the overall length? I'm looking for something under 22 inches. now you just need to complete the grand slam and compare John's pixie to the Kala Pocket. Both ukes are abaout rhe same price now, so about GBP150,. Both seem pretty alike. You already said they are about the same in size? It is said, the Pocket hass great intonation. So waht about the sound of the two? And the width of the fingerboard. Is the Kala like the Pixie wider and not as narrow as the iuke? I really lióve the uniqueness of the Pixie, but including international shipping, and a cheaper offer for the Kala here, it would be a 30% extra for the Pixie, which makes me wonder if its worth for a 3rd instrument like purchase. So if you have some experience on the Kala, too (I think you said so) and are able to compare, I would be delighted to listen. A full review would be the hattrick. I have played a Kala pocket but didn't have it long enough to review it. Tone wise there is no comparison - the John Daniel just sings compared to the Kala. Kala has slightly narrower neck too. I personally would recommend this uke even if it was twice as expensive - it's stunningly good! 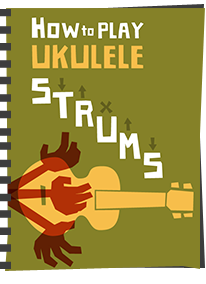 ps - a uke that is said to have 'great intonation' should not be a selling point - it should be a basic requirement of any playable musical instrument! 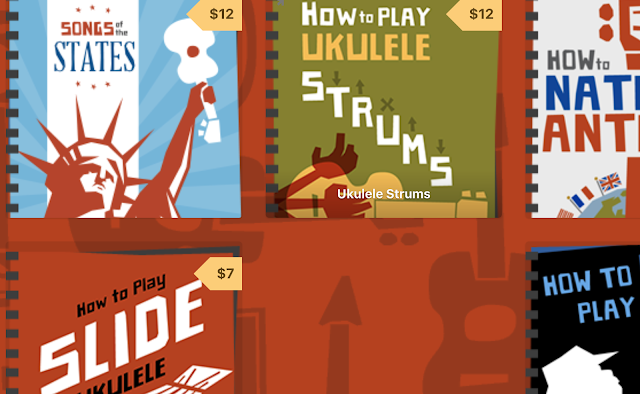 Southern Ukulele Store have stocks from time to time. 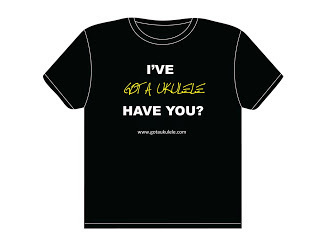 Best bet is to join the John Daniel Ukulele Group on Facebook - John is on there and I know many people have placed orders with him direct through there.